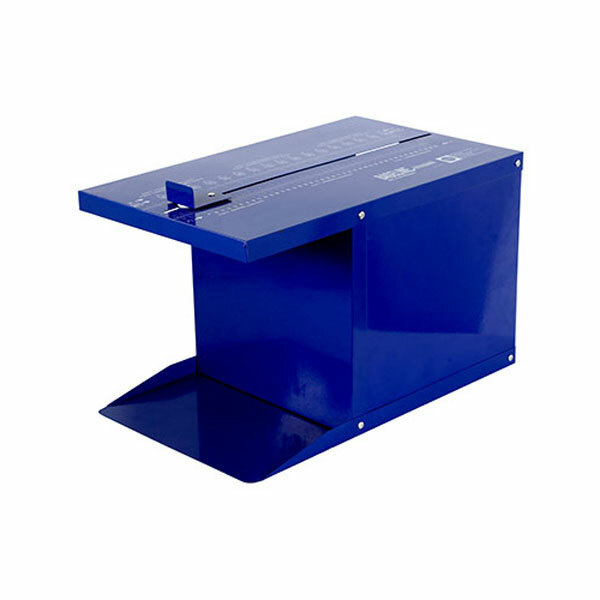 The Sit n' Reach Trunk Flexibility Box is designed to evaluate the flexibility of a selected set of joints and small muscles including the lower back vertebrae, larger hamstring muscles, and hip flexor joints. Scales printed in inches and centimeters. Made of sturdy powder-coated metal construction with a built-in foot plate and a maximum stretch indicator that remains until reset. The standard model can be used to perform trunk flexibility tests. Its scales include readings for: fitness, program, Cooper Institute / YMCA and Shape America. The deluxe model offers an adjustable start point that can be used to normalize scores to account for variation in arm and leg length of the person tested.